When I was a little girl, we only got to see my dad's mother about twice a year. 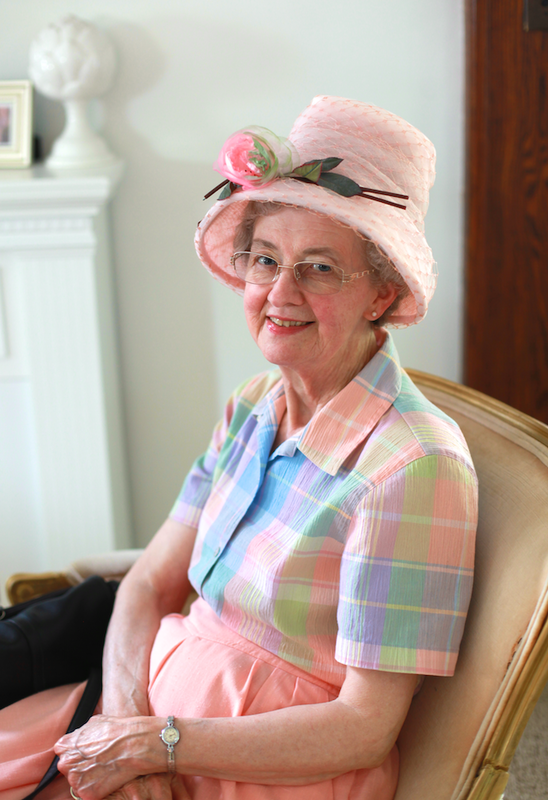 She called herself the "practical Grandma", but I thought visits with her were magical. Maybe it was because she always took us clothes shopping, which in my little ruffled and high-heeled mind was better than any toy store. Maybe it was the fascinating contrast between my Mom's free-spirited ways and my Grandmother's strict rules and black and white, no-nonsense outlook on things. Even her home was black and white; her furniture, her decor, her carpet...all cold and marbled and modern. Except one place. 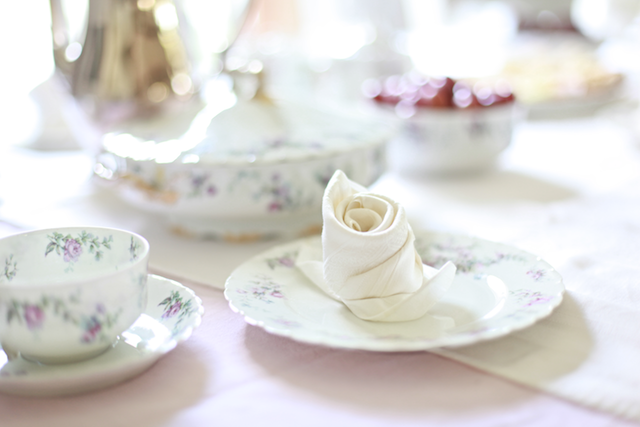 One corner of the dining room where she kept my heart's desire: the family china. 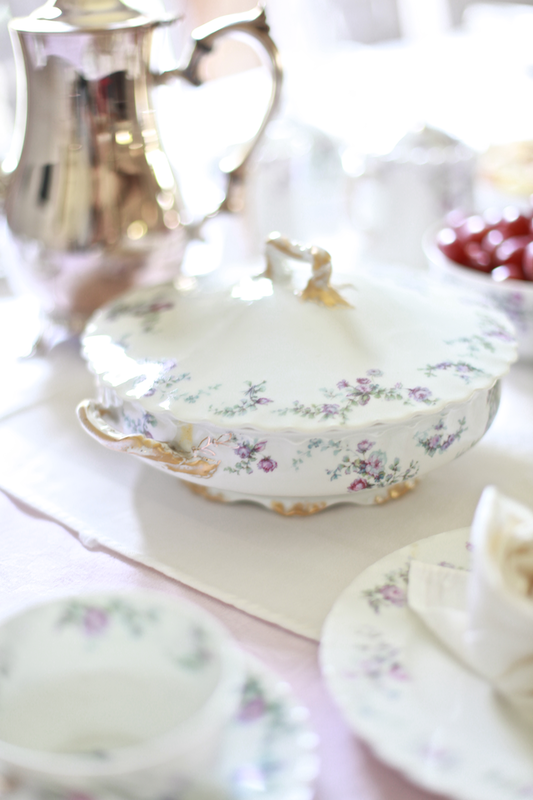 Delicate, feminine, floral bone china from France, passed down from my great-great-great Grandmother. I was dazzled by it. 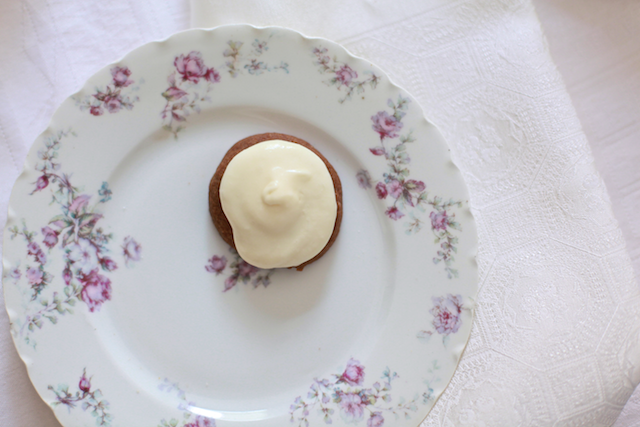 My affinity for girly, fancy things, along with natural appreciation for family history and heirlooms drew me to that china cabinet like moth to flame, every time. My grandma would let me open the cabinet and take out a cup, then hold it up to the light to see my wiggling fingers through the other side. I thought it was more precious than the crown jewels. Of course, I knew it wasn't for me. It was always passed down to the eldest daughter, which would be my aunt. Since my aunt had no children, it would then go to my older sister. 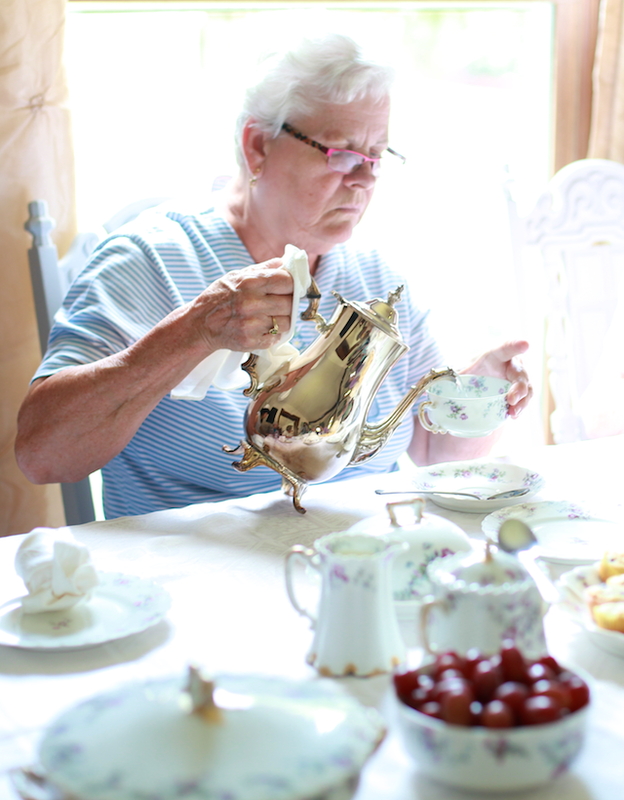 We made one last trip to see my Grandma before we moved to Indiana, and she showed the china to Paige, who loved it as much as I always have. Then my Grandma surprised us by telling us that they decided to give it to us! I literally cried. 100 years (and a couple of broken pieces) later, and her great-great-great-great granddaughter is enjoying it as much as she did. I just think that's so wonderful! 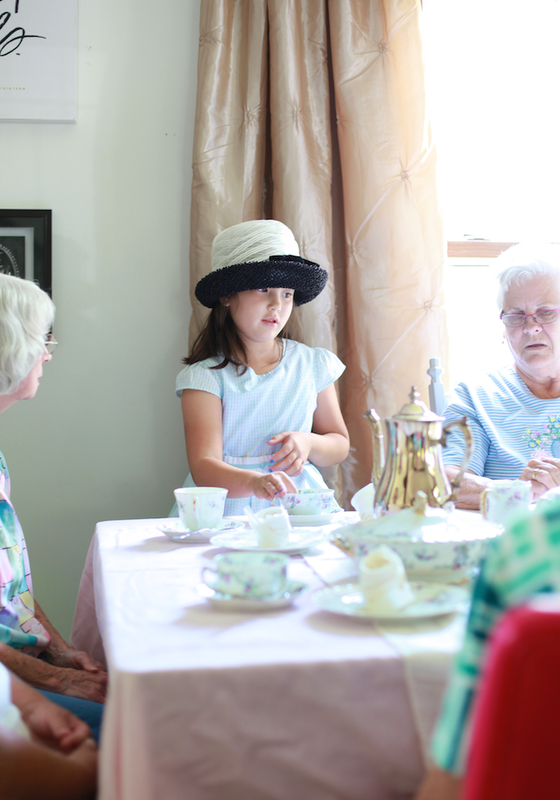 A couple of weeks ago, we unpacked the china and Paige hosted a tea party for some of the older ladies at church. It was just about the sweetest thing I've ever witnessed. 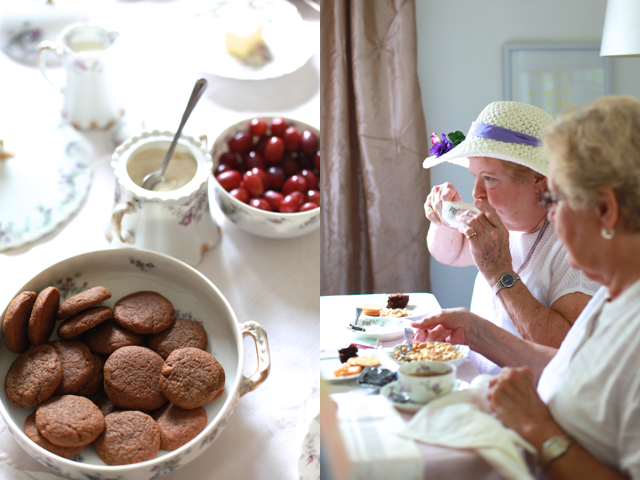 She made tea and treats to serve in the china, DIY'd some decorations, and even folded the linen napkins (also passed down from our Swedish relatives!) into Roses. Then she and I took turns asking the ladies questions about what their lives were like when they were little girls. 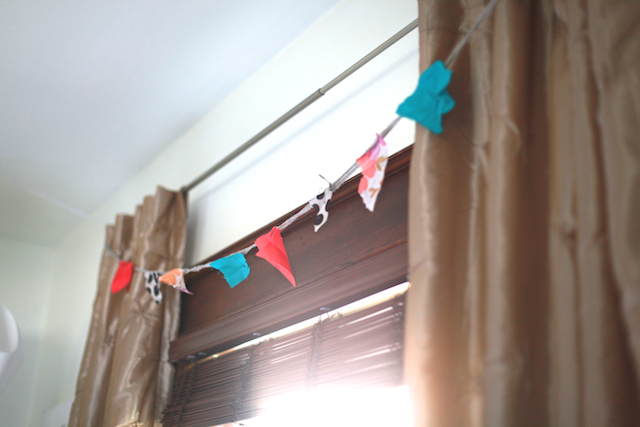 Paige learned how to host a party, and also learned some precious bits of knowledge and history. 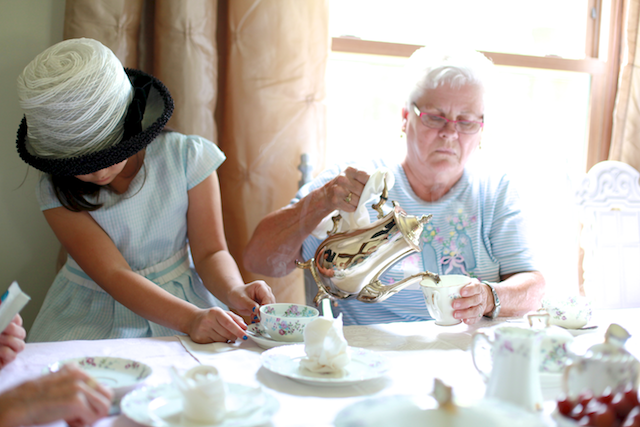 Several of the ladies even said that it was the first tea party that they had ever been to. It was such a special day! I have to say this, though: the beautiful china was nothing to the beauty of the lives of those women that we had in our home. Scroll back up and look into their faces...you can almost see the rich memories and experiences in their eyes. Some of them grew up on farms and got up before dark every morning, some of them were the oldest of many children and were 2nd mothers to them. They had such sad stories of losing parents and spouses and loved ones, and such funny and sweet stories of how they got their husband's to first notice them and their first pets and how their families spent Christmases. It was a totally different world then. I just wanted to share our fun day with you guys! 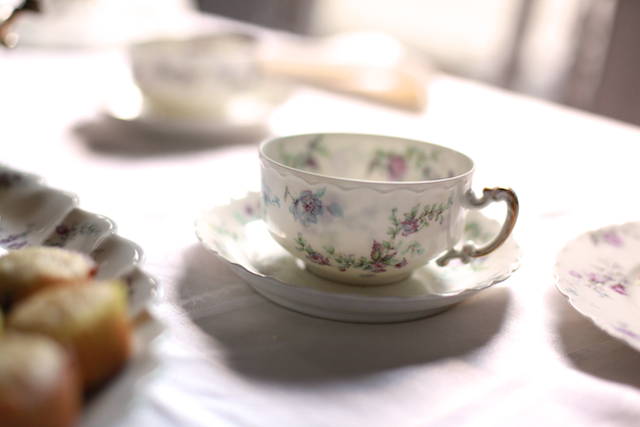 And if you have some elderly ladies in your lives, totally invite them over for a tea party. Even if your tea comes from a plastic jug. Make it happen, you won't regret it! 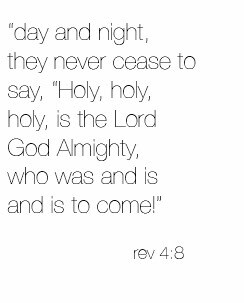 Happy start to your week!! It's going to be a good one! aww!! what a great story!! I have to say, Disney, that you're the kind of mom I wish I was. Paige will have some amazing memories to take with her as she grows up and starts her own family, and she will know exactly what to do with her own daughter (should she be blessed enough to have one!). My only daughter, the oldest of four children, is grown and gone, and I wish, now, that I had done something like this when she was younger. 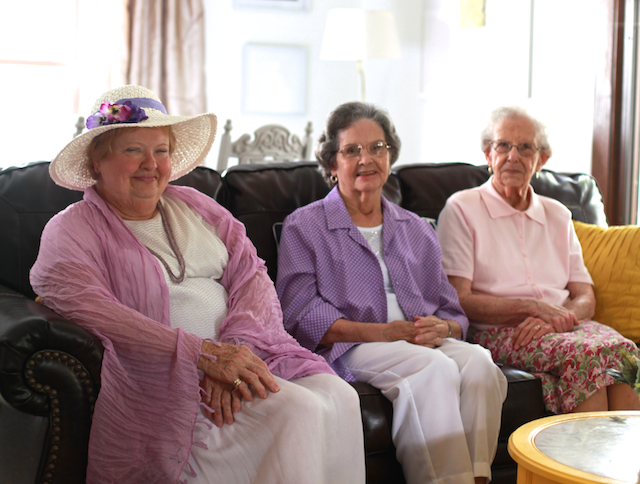 What a great idea to have a tea party with the older women of your church. 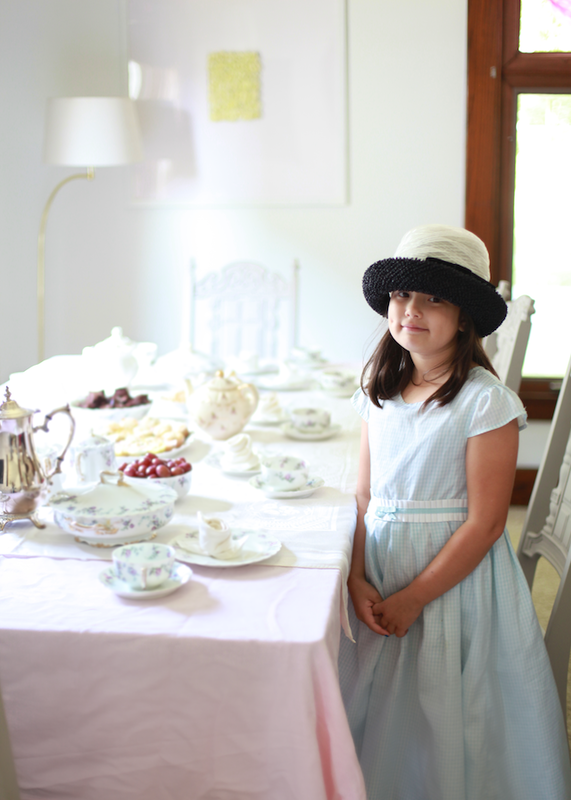 We've had fun mini-tea parties with a set that my daughter received from her Nana. It use to be her great-great aunt's play set. We must definitely do something similar even if its just with my mom. Or my daugher's Nana when she comes to visit. This post was so so sweet! I feel the exact same way about my grandmother's china. My mom has it now and I am hoping that one day it will get passed on to me. My grandmother died before I was born so I never got to know her, but I feel like I see a little piece of her each time we use that china. I can just imagine her having all the ladies over to play bridge and drinking out of their fancy English teacups. Every Thanksgiving and Christmas it was my job to set the table.... Oh how I loved making the table all fancy with those gorgeous dishes. Sometimes I would spend hours on it making placecards and menus. Thanks for the trip down memory lane. I just love your blog and you too!